On the latest episode of the Pollcast, Green Party Leader Elizabeth May joins host Éric Grenier to discuss her strategy for the 2019 federal election. Plus, the CBC's Kerry Campbell talks about the Greens' next electoral test in P.E.I. In a series of provincial elections, the Greens have made new breakthroughs and, in British Columbia and New Brunswick, hold the balance of power in minority legislatures. But can the Green Party of Canada replicate these provincial successes in next year's federal election? 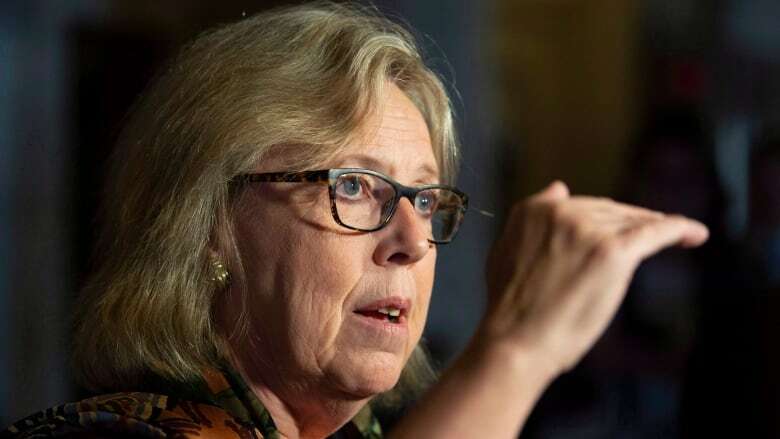 Elizabeth May is the longest-serving leader of any federal or provincial party with elected representatives in the country, having become leader of the Greens just over 12 years ago. She got a seat in the House of Commons in 2011 when she won the B.C. riding of Saanich–Gulf Islands. Though May was re-elected in 2015, the party was unable to win any other ridings despite some hopes for new seats, particularly on Vancouver Island. But provincial parties have increased their clout since then. In 2017, the B.C. Greens won three seats and entered into an arrangement with the New Democrats to prop up their minority government. Later in the year, the Greens in P.E.I. won a second seat in a byelection, doubling their representation. The party has since moved into a neck-and-neck race with the governing Liberals in the polls, while leader Peter Bevan-Baker is the most popular provincial leader in P.E.I. In 2018, the Greens won their first seat in the Ontario provincial election in June and in September the Greens went from one to three MLAs in New Brunswick, giving them lots of sway in a divided minority legislature. The federal Greens have seen an uptick in support in B.C. and in Atlantic Canada, suggesting that their provincial successes are beginning to rub off on the federal party. Nevertheless, the Greens remain at around six per cent in the polls nationwide. On this week's episode of the Pollcast, host Éric Grenier is joined by the Green Party leader to discuss her strategy for the 2019 federal election. Then, the CBC's Kerry Campbell breaks down the provincial political scene in P.E.I., where the Greens likely will be put to the electoral test next.